Sometimes I think I shouldn’t stop writing this blog as it seems that whenever I do someone significant to TV dies. This time, though, ‘significant’ doesn’t cut it, and all superlatives are understatements. It’s difficult to quantify what James Garner – who died of natural causes this July at the age of 86 – meant to television. Not only was he around during TV’s formative years and helped the medium come of age, he had the rare distinction of playing two of the greatest characters to ever grace the small screen. Obituaries both written and forthcoming will doubtless talk about what an incredible movie star Garner was (and indeed he was) but I always thought there was a certain dailiness about his performances that made him perfect for television, and may help explain why he kept returning to TV while his film roles continually deflated the grandiosity of the cinema. 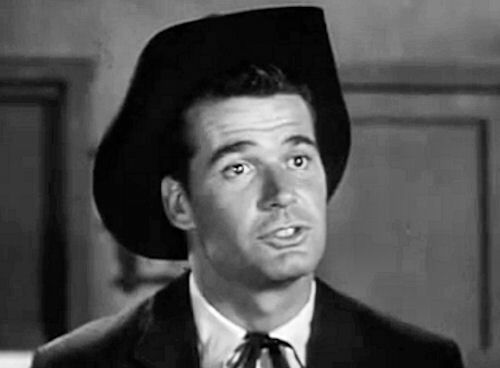 Garner’s first major television role was drifter gambler Bret Maverick in Warner Brothers’ western dramedy series Maverick, which he played throughout the late fifties. The show is a one-word argument against FCC chairman Newton Minnow’s notion of TV in that era as a ‘vast wasteland’. It was anti-formulaic, adult, challenging and irreverent, and Garner’s humour, bathos and moral ambiguity in the part had a lot to do with that. Essentially a thinking man’s riposte to the branding-iron western TV series (they didn’t have cookie-cutters on the frontier!) that overpopulated the networks at the time, Maverick was an early indication of the quality of television that could be achieved working within popular genres. While Bret Maverick certainly paved the way for television antiheroes like Tony Soprano and Walter White, Garner saw him more as a ‘reluctant hero’ and played it accordingly. It was that kind of nuance that made the difference. It’s worth remembering that fifties American TV was highly praised for its character drama in anthology form like Philco Television Playhouse and Studio One, and so to offer this kind of psychological complexity in the form of a western series – more often regarded as the cultural antithesis of the anthology drama – was radical. It also showed that TV could do something worthwhile with the western formula. That would be enough for most actors, but unbelievably Garner did it all over again as every-slob private eye Jim Rockford in Universal’s detective series The Rockford Files which ran throughout the late seventies. One of the most perfectly-made shows in television history, Garner’s lastingly lovable lead performance put it over the top, and into perpetual syndication. The actor’s iron rule over his Cherokee Productions also ensured that Universal never dragged the show back to the studio lot, and kept it as freewheeling as the Southern California locations we saw onscreen. 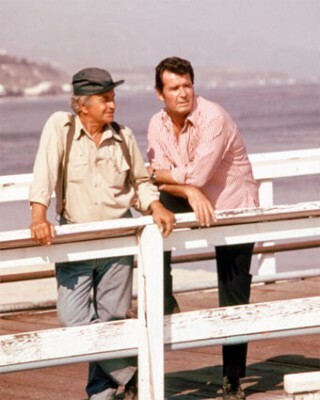 The Rockford Files’ tone-perfect medley of comedy, drama and thriller was a template for quality US television to come, and all that was there in Garner’s performance. Never humourless nor too frivolous; a hero you could believe in because he didn’t believe in it himself. Unlike most sanctimonious American TV protagonists, Garner never pretended Rockford wasn’t out for himself. Despite a string of memorable and game-changing performances in a host of movies, Garner always went back to TV in the end. Whether it was the Rockford Files TV movies (which, oddly, didn’t disgrace the original), a series of beloved Polaroid commercials with actress Mariette Hartley harking back to the repartee of romantic screwball comedies, or replacing the late John Ritter as the patriarch on sitcom 8 Simple Rules. Rather than trashing television as so many Hollywood movie stars have, he decided instead to make it better, either by seeking out the best material or improving drastically on the worst. After Garner was through with television, it didn’t look like there was a distinction between TV and the movies any more. 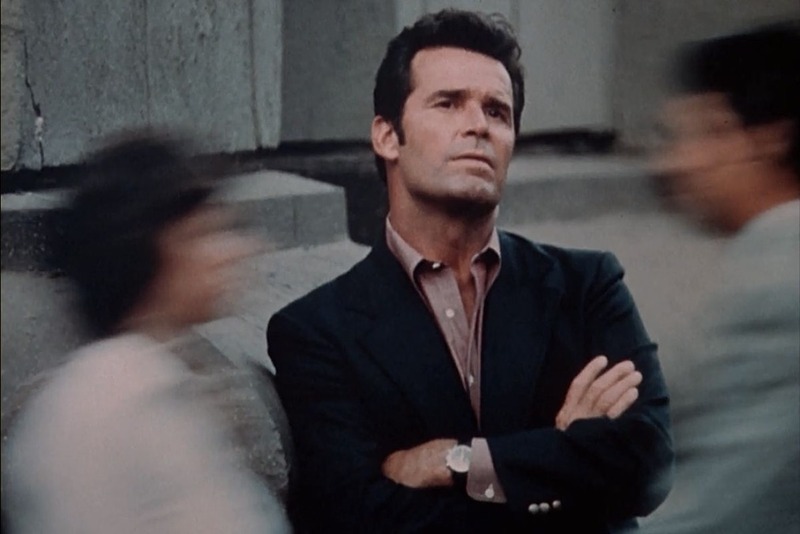 It would be impossible to find two better performances in television than Bret Maverick and Jim Rockford, but James Garner always meant more than the sum of his parts. As someone who has spent the best part of their life enthusing, studying and writing about television, I often get asked what’s best to watch, as if I have access to a secret channel that only the TV wing of Mensa are eligible to subscribe for. I’m always hesitant to answer. As a self-confessed TV snob, I know that whoever’s asking will have dipped their toes into far more shows than I ever have and experimented with titles I would have simply dismissed. When you teach the tube (if you’re doing it properly) you learn to embrace more of the spectrum of what we might call television. So I’m worried I would answer with something insane like CBS’ coverage of the NFL or a public access schools programme about surrealism. It’s also because there’s now so much choice in television that it’s possible (at least as a middle-class white man) to find a show that caters exclusively to you. I genuinely couldn’t say whether or not Boardwalk Empire is great TV since it features just about everything I love in this world (gangsters, American history, HBO, Steve Buscemi), achieving distinction in my eyes just by being made in my lifetime. Boardwalk Empire: If you don’t like it, you’re not me. When people ask I’m pretty sure they want a good drama to sink their teeth into and aren’t asking for advice on what rolling news service they should tune to. Givens that, (pun not typo) my go-to is always Justified which I can universally recommend with more, ahem, justification than my TV make-your-own pizza Boardwalk Empire. It’s a show that’s off a lot of people’s radar, or at the bottom of their list, so I feel I might actually be telling them something they don’t know rather than sounding like I’m reading from a list of trending tags. There’s plenty for me to get excited about as an Elmore Leonard aficionado and lover of TV westerns and cop shows but there’s something for everyone here. Every character from walk-on to lead is immaculately written and acted (even Bubba from Forest Gump) and there are beautiful men and women to gaze at, whether you like rough or smooth, or both. If you like your CSIs and your SVUs there’s a whole, complete and expertly crafted story each week. If you’re more of a long game person, behold the four seasons of onion-peel plot development and character works-in-progress like the ever-elusive Boyd Crowder (Walton Goggins). Without sounding like all the good things are in the past-to paraphrase Stevie Wonder-Justified represents a kind of television there’s a severe shortage of today. A medley of action, story, humour and character that’s entirely entertaining and yet never lacking in quality and complexity, not seen fully since The Rockford Files. With kicking dialogue and music to boot, you can’t go wrong. And you’ll be in love with from the first scene. I often feel guilty about recommending shows that don’t warm up until a few seasons in. In essence you’re asking someone to commit all their free time to something that won’t pay off for months. It’s like getting someone to invest their life-savings in a niche restaurant that you know won’t make any money for the first few years. How can I tell someone to start watching Breaking Bad in full knowledge that nothing compelling will happen until the third season? Sons of Anarchy doesn’t even come together until the fifth season! That’s roughly fifty hours of television to tunnel through before seeing any kind of daylight. In all but the rarest cases, we’re talking about shows that you can’t tell someone to jump into already knee-deep in story so you’re really signing them up for work as much as enriching their lives. You see people that you’ve recommended slow-burning TV series to and you can see they’re worn down and trying to think of something nice to say in order to match your enthusiasm but sweating pure ambivalence. If I think someone has the strength of character to endure the grind, I may nod them in the direction of The Walking Dead purely because it’s only a mini-series worth of mediocrity before it all starts to fall in place, a comparative blink of the eye. Fancy a bet on a rank outsider? Try Portlandia. Ostensibly a location-specific sketch show, it’s actually more freely artistic and socially incisive than most TV comedy or drama. You can keep asking me what’s good but most of the time either you know or you don’t want to know. In an interview with the BBC some years ago, Sopranos creator David Chase, speaking of his first writing gig on The Rockford Files, remarked that what set the private eye series apart from most TV at the time was that it was recognisably set in Southern California and not some ersatz non-place. This innate sense of place trickled down into Chase’s later TV work. One look at Jersey Shore and The Real Housewives of New Jersey and it’s obvious that the landscapes and body shapes that feature in The Sopranos could only be from the Garden State. It’s also something that distinguished Rockford creator Roy Huggins’ TV shows. His previous creation The Fugitive (one of the other only TV programmes Chase admits to enjoying) was always specific in its geography, be it small town or vast metropolis, no mean feat for a series which had to change location every week. Place is increasingly becoming the backbone of American TV. The unique appeal of shows like AMC’s Breaking Bad is inseparable from their choice of setting. The meth-drenched desert hazes and border town hinterlands of Albuquerque provide not just a backdrop to the action but the pathetic fallacy of the characters’ moral decay and corruption. Other programmes like Portlandia build their very concepts around a place rather than a set of characters or situations. It may be that the IFC sketch show starring Fred Armisen and Carrie Brownstein relates to something bigger than just the Oregon city-like the hipsterfication of everyday life-but such observations are always squarely aimed at Portland’s grunge-throwback ways. The Wire (and the lesser known but not lesser in any other way Homicide: Life on the Streets) may speak to people as a microcosm of American social problems but in the end it’s a programme about a place, Baltimore, Maryland, and impossible to truly appreciate without a working knowledge of that city’s local political scene. So is this a new development in American TV and, if so, what changed? It’s tempting to put the recent emphasis on place in American TV down to historical shifts in the way that programmes are produced. For much of its existence, TV was filmed predominantly in studios making it difficult to manufacture an authentic impression of place. When location shooting was added into the mix, the ability to suggest events were taking place in a distinct locale improved drastically, even when programmes were still studio-bound. Cop drama NYPD Blue seemed firmly planted in the many and varied neighbourhoods of the Big Apple despite being the majority of it being filmed on the Fox backlot in L.A. simply because of the documentary-styled location footage of the ongoing life on New York streets that pre-empted each scene. Now that the technology of production has advanced sufficiently to shed the studio, putting place at the centre of a TV show should be everywhere by now, right? NYPD Blue or LAPD Blue? Possibly not. Location shooting is used more readily to invite a sense of reality without necessarily specifying the geography. It was used in Hill Street Blues to project a (radical) urban grittiness but stopped short of saying what city events took place in (we can assume Chicago but are never told for sure), even going as far to create a fake district of this unknown metropolis. The ability to film on location doesn’t always mean you can film anywhere you like. Think about how many American TV shows are needlessly set in the vicinity of L.A. Often this isn’t an artistic choice but a local one. It’s plainly easier and more economical to find somewhere to shoot near the production base, in this case Hollywood, and use that to justify the setting. It’s the only way to understand why a show like 24 about federal counter-terrorism agents is set in the City of Angels and not Washington or some more suitable hub of government activity. It’s clearly still a choice at the discretion of programme makers whether or not to push place and yet it’s happening more and more. I’m not sure what the explanation is. Perhaps it’s a product of multichannel television narrowcasting to niche audiences, allowing programmes about specific parts of the US to become popular regardless of broad national appeal. Maybe basing a show around a place is another way to create a programme’s distinctive brand in an ever-more competitive market. 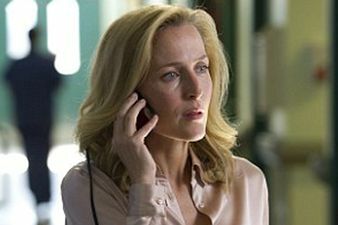 Most commentators agree with Chase that a sense of place is a sign of television quality. It’s certainly more important than it used to be. Though you might be more familiar with the 1993 movie re-make with Harrison Ford (which unusually for a Hollywood revival of a classic TV show doesn’t disgrace its predecessor), this long-running series from the mid-1960s is a classic in its own right. Falsely accused of his wife’s murder, Dr. Richard Kimble (played by a perpetually constipated-looking David Janssen) escapes from custody and drifts from town to town doing a variety of blue-collar jobs until his identity is discovered by the locals-who somehow don’t spot him by his iconic tweed jacket and jet-black hair-at which point he moves on. Kimble is occasionally pursued, when he can be bothered, by Lieutenant Gerard (the coathanger-jawed Barry Morse) and his wife’s murderer, a one-armed man played by a fat Worzel Gummidge. Each episode is an impeccably crafted chamber drama and the weekly guest stars are amongst the best character actors of their era. It’s also a scathing indictment of American society. Those in the justice system are invariably the villains of the piece and Kimble wanders an America full of corrupt institutions where the scum of society has risen to the top. It would be the highlight of anyone’s career, if it weren’t the creation of Roy Huggins, the man behind Maverick and The Rockford Files. It’s easy to be put off by the dated production values, air of tackiness and cloying music of this 80s sitcom but it would be a shame to let cosmetics get in the way of a show that otherwise is pure joy. Four senior ladies, sour divorcee Dorothy (Bea Arthur), her old school insult comic mother Sophia (Estelle Getty), southern belle-in-waiting Blanche (Rue McClanahan) and naïve farm girl Rose (Betty White), share a house in Miami looking for love and late-life fulfilment. It’s sharply written with an underlying sarcastic wit that counteracts the mandatory sentimentality beautifully. The show was utterly fearless about confronting issues facing people in later life, like dementia and disability, as well as those that matter specifically to women-one memorable episode has Dorothy facing down a male doctor who misdiagnosed her based on her age and gender in a restaurant. In this sense it harks back to the socially responsible American sitcoms of the 1970s but it has a streak of misanthropic humour we more readily associate with sitcoms today. It’s impossible to underestimate how important the central performances are to the success of the show. I’m particularly enamoured of Getty’s pinpointed quick-fire delivery and White’s knowingly played bravado turns of bumpkin innocence. After countless sequels and movie versions, it’s good to get back to the ground floor of this franchise and see exactly why people think it so worthy of resurrection. Enduring iconography aside, I was struck by how captivating the storylines of each episode were, and the perfect pace at which the mysteries unravelled while still leaving space for that surreal and colourfully psychedelic camp that people treasure about the show. One episode I caught, ‘The Corbomite Manoeuvre’, is structured like a poker game and ends with Captain Kirk having cocktails with a grown-man baby alien played by Ron Howard’s brother. It’s also quite remarkable how the character flaws of the main cast are highlighted as much as, if not more than, their heroic qualities. I always had it in my head that Kirk’s chronic womanising was a fan fiction add-on that got recouped as canon after nudie-freak JJ Abrams got his pervy little hands on the franchise. But here Kirk is cruelly lascivious without apology or remittance. If like me you grew up with the relatively co-operative crew of The Next Generation, you’d be shocked at the amount these guys argue with each other. Dr. Bones in particular is more insulting to his fellow crew members than a drill sergeant with piles.